Beyond “cozy” this home is just that – a home from home! 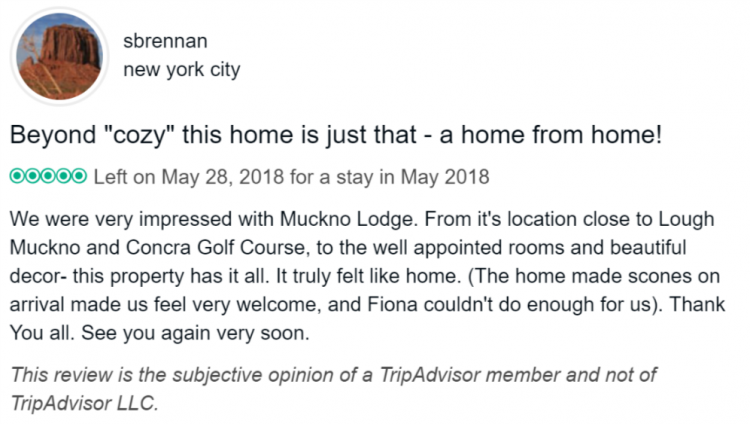 We were very impressed with Muckno Lodge. From it’s location close to Lough Muckno and Concra Golf Course, to the well appointed rooms and beautiful decor- this property has it all. It truly felt like home. (The home made scones on arrival made us feel very welcome, and Fiona couldn’t do enough for us). Thank You all. See you again very soon.